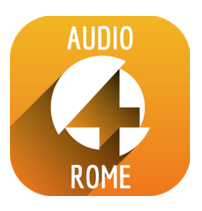 Audio guide Rome Crazy4Art - Art and culture in one App! Why settle for a simple audio guide if you can visit Rome with Crazy4Art? Crazy4Art is an the intelligent audio guide and a valuable travel companion that moves with you in your visit of Rome, one the most beautiful Italian cities, It tells you what you see and allows you to live a unique experience, exciting and interactive through the wonders of the “Bel Paese”. Whether you’re a tourist or a backpacker, you will find in the app Crazy4Art your reference point. The audioguide Crazy4Art has all the content you need to discover the beauties of Rome and explore the most characteristic aspects related to the history, culture and traditions of the city. Monuments, works of art, archaeological sites and places of interest, but also many anecdotes, legends and curiosities. The extensive content of our audio guide has been created by the professionals in art, architects and tourism experts to ensure the highest quality for your unique experience with Crazy4Art. You can choose to discover Rome using dozens of predefined tours or create your own customized tour based on your interests and the time available to explore the city. In the app Crazy4Art you will find the classic tourist attractions, but also more unusual destinations, always fascinating and interesting. The audio guide also identifies your position via GPS and will suggest you the best routes in the vicinity. If you have a limited time available, Crazy4Art calculates the route starting from a point you choose and based on the desired duration of the tour. The language of art is universal, but the audio guide Crazy4Art speaks your own language. It is available in 6 languages in order to be able to communicate with everyone irrespective of the country of origin. It is perfect for a trip with no barriers or limitations of any kind. Our audio guide works offline: with the content of Crazy4Art you can use the map, audio, texts and images in an easy, fast and intuitive way. Crazy4Art audio guide Rome allows you to share your trip with your friends on the favorite social networks in real time. You can tell everyone where you are and photograph monuments, works of art and places of interest without leaving the application. 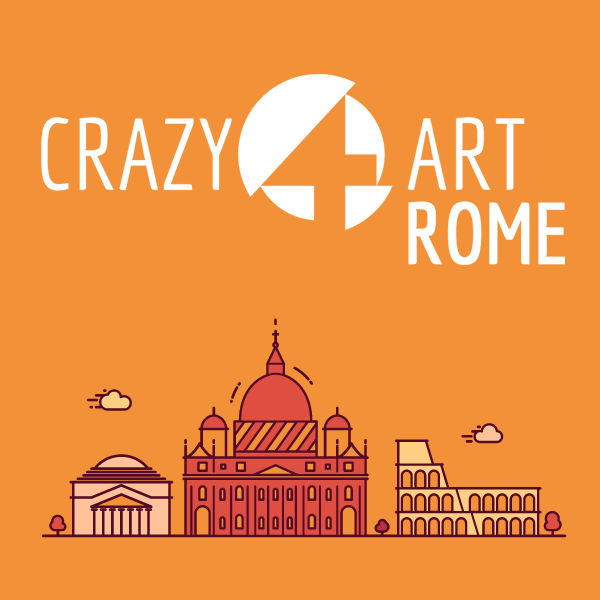 Audio guide Rome Crazy4Art is the first intelligent app for professional and personal use. It has been prepared by the art historians, architects, translators and native speakers to guarantee the most exciting content and the highest quality. Discover our innovative, personalized and interactive cultural guide, which will satisfy your curiosity and will allow you to enjoy your visit in Rome in the easiest way. Price € 4.50 for Android – € 4.99 for IOS.